52 Weeks: #9 What is your good enough? Last week I mentioned how important it was to me to keep my flat surfaces clear. Many of you agreed with me that doing this really contributes to a sense of relaxation and calm. Some of you chimed in wanting to know how to do this exactly because all the things that seem to pile up in those spaces just keeps coming back. I will definitely address this in more detail next week sometime because it really is such an important topic to address. In the meantime I’d like you to think about what your clutter standards may be. The answer WILL look differently for everyone and it’s why we should never compare ourselves to one another. Since it’s practically impossible to live (if in fact you really are living) in a show-home perfect house all of the time you need to know what your threshold is before the clutter alarms start going off. You may in fact be okay with some papers on your counter or toys strewn around the floor for instance. But how much is too much before it becomes a problem for you and your family. What is your good enough? This is important to know because it impacts so many areas of your life including how you manage your time, how you spend your money, your marriage, to even how you decorate your home just to give you some examples. 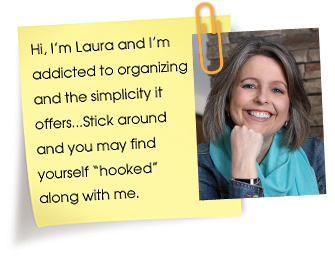 Your clutter standards are your level of “good enough”. Are you setting the bar too high or too low? Too high, and you may be setting yourself up for failure with standards that are impossible to maintain on a regular basis. Too low, and your family may be struggling with chaos on a regular basis. Only you can decide where the middle ground is for your family. Are you constantly looking for things, tripping over your clutter, paying bills late, perpetually late for appointments, and living in chaos? Is it stressing you out? Then it’s time to be organized enough to avoid the things that stress you the most without setting yourself up for failure. For instance, I don’t make my kids clean up their rooms every night before bed, but I do expect them to leave a path to the bed. That’s good enough for me. Give it some thought and decide what’s good enough for you. As I mentioned last week visual clutter does me in so I do try my best to avoid it. Sometimes I try to fight that though especially when it comes to decorating my home. For instance take the area on top of my kitchen cabinets. I’ve been to friend’s homes and have seen this space decorated so beautifully with a variety of pretty decorative items clustered in completely imaginative ways. I’ve tried it myself and I’ll do okay with it for a couple of weeks but the twitching always returns and down all the “extras” have to come. I’ve left two things up there and that seems to be about all I can handle. It’s my good enough even if it doesn’t look “perfectly” put together. 1. Do you know what your “good enough” is? 2. What did you organize this week? 3. Are there areas you are struggling with in this challenge? 37 Responses to 52 Weeks: #9 What is your good enough? I’ve often wondered if there were other women like me who admire other homes that are beautifully decorated with lots of “stuff” to look at, etc.. I prefer an uncluttered look for counters, floors and walls, so my house probably appear bare to many people. Like you, I’ve tried to decorate with more “stuff”, but I always end up clearing away the “clutter”. It just makes me feel calm! Happy birthday to your mom. OMGosh she is only 7 years older than me! She must be very proud of you. My good enough is that for most surfaces (especially ones that the little people can reach) need to be clear of just about everything. 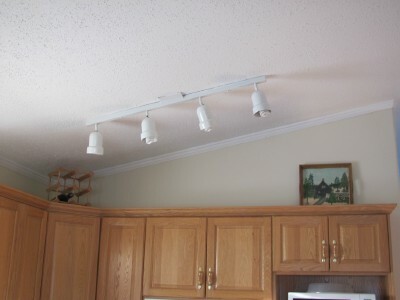 However, other spaces (like above my kitchen cabinets) can be decorated. My great-grandmother collected ruby red glass and my grandmother bought me some green glass vases so I have those items and some artificial roses and greenery from my wedding displayed above the kitchen cabinets. I like clear counter tops etc. I have a special place in my office for the “pile” that needs to be dealt with. In this house there is no space above the kitchen cupboards. I had a few things up there in previous houses that were special & were nice to display. I did learn one trick for cleaning the tops of kitchen cupboards or fridges. For the top of the fridge I usually keep a small table cloth on it, then just wash it & return it when it needs to be clean. None of this scrubbing to get rid of that greasy dusty YUCK!!!! Glad you got to go visit your Mom….there are advantages to living so close to a big city aren’t there 🙂 Miss you around here…. ive often thought that i needed to have everything out in the open so i would know what i have. but lately that clutter has been giving me much stress. i need to have things put away like the old adage that goes something like “a place for everything and everything in its place”. only for me that means put away. My “good enough” was different when I had kids living in our home. They’ve all grown up, married and have children of their own. Now, I love to keep my kitchen island clean! And I’m working on keeping the kitchen desk cleaned off too. That’s my number 1 hot spot to work on. All the closets in this house are my priority “clean-out and purge” this year. Great idea. I just wrote up a post on one of my “good enough” things (and I have many, lol!). I will link it up when I’m finished. My “good enough” is with all the little details that don’t really matter- yes it would be wonderful if my kids clothes were perfectly organized in their closets and drawers with dividers for size, type, etc…but right now I just focus on getting them put away, however unorganized that may be. Our desk drawers would be so much more functional if things were separated and kept in little containers, but for now I’m satisfied as long as the mess is hidden away. I’m one of those who always wants to “do it all” but I’ve realized with three kids that’s just not possible. I read this a couple years ago and always comfort myself with it now- “80% of the things that we do only need to be done 80% correctly”. So as long as I’m giving 80% I’m satisfied! thanks for the guest links inspiration…..
i have cleared all my kitchen & bath counters of “stuff”, created a message/charging/telelphone station in my kitchen (but not on the counter 😉 ), purged/cleaned a junk drawer, cleaned/purged our “mail” station, been purging knick knacks & stuff which makes cleaning so much easier, and my house is still a work in progress but it is getting easier as time goes by and stuff goes out the door permanently. thank you!!! My good enough is being able to leave or come into my home with a guest. It doesn’t have to be perfect, it can look lived in (I do have a 3 year old), but generally it is good enough to me. I like things back in their place, dishes done, counters cleared etc. I do not focus on my bedroom because nobody is coming in there. Maybe I should be able to leave the door open though! 1. Card collection 2. Keep Box 3. Bedroom TV stand 4. Cords 5. Printed Photos 6. Under the Kitchen sink 7. Scuba Gear 8. My basement has been emptied of the “Things to leave in one month” I have posts on each of these on my blog- be sure to scroll back to see the pictures! I am not struggling with anything of mine in this challenge, however, I am struggling with my boyfriends junk! Before we move in together, I need him to purge like it’s going out of style! I cannot accumulate all of his clutter when I am so diligently destroying my own. Right now my “good enough” is if the living room and kitchen are straightened up before I go to bed. I know during the day it’ll just get messy again (with a very active toddler running around! ), but at least I know that in the morning I will wake up to a peaceful living area. I organized the second of two kitchen tool drawers. (Did the first one last week) I had put this one off until I could get to the store to get a couple of baskets. Our house is a cluttered mess. Week by week I have been focusing on one area to clean and figure if we can keep each area that I tackle free of clutter eventually the house will be organized and decluttered. The problem is that my husband is constantly putting “stuff” on the cleared spaces, so I have to clean them off every day. It is only one or two items a day, but if I don’t keep cleaning it off, the pile will grow again on the decluttered spaces. Any suggestions what to do in this situation? I think you can definetly go overboard both ways–your house can be cluttered and look terribly unorganized or it can be bare and almost sterile and too bare–to each his own–you know what you want to keep up and that is your choice. I (my choice) like to have a clean and nicely decorated–homey home. Because your home is decorated doesn`t mean it`s cluttered by any means. To me when I go in a home–clean–but bare–I feel cold inside and wish they`d finish decorating-LOL!! Good questions – my good enough changes depending on my life circumstances. For instance, after I have a baby, I have about a year where my good enough is pretty low standards. Feed the kids, keep them safe. Cleaning and decluttering are last on my list. I keep it manageable, but way less clean then now when I have bigger kids. I am at a point where I have time to keep up the house more. So I really like the kitchen to be clean every morning after the boys are at school. But the toys sometimes stay out in the family room for a few days. Typically I like things picked up at night, but if we are having a crazy week (like this one) that slides and I am fine with that. I think to stay sane, I have to look at my overall situation and adjust my standards. I am doing the 52-week challenge, slowly but surely! I am having a problem with keeping the horiontal surfaces clear. I get a little jittery and nervous without a bunch of CRAP lying around making the house look lived in. Why is that? Does anyone else feel like this or heard of this before? I don’t know if the mess and piles of papers make me feel important, or if it feels more like a “home” instead of a magazine–but I keep on sabotaging myself after I have cleaned all day long! I will literally retreat from my newly organized, cleared, and beautiful living areas into my messy bedroom or office just to feel the “ahhhh, that’s better” feeling of my comfort zone. It’s too bad the mess also bothers me, otherwise I could just live happily in a mess! I really don’t like the mess, and I like cleaning the mess up; but for some reason I just don’t like living without it. Weird!!!! Can anyone help me? Good enough for me would be for horizontal surfaces to be clear of clutter. It is a constant battle for me! Like Enjoy Birth said, it is important to keep in mind that “good enough” changes with life circumstances. We don’t have kids yet, but we do have 3 cats, 2 dogs, 3 rats, and a tortoise all in a small duplex. Since our back yard is mostly red clay/dirt (yeah, trying to grow grass in it doesn’t work well), the dogs bring in all sorts of dirt every time they go out. On top of that, we regularly foster dogs for a week or so at a time, and that makes it even worse. The worst was definitely the few months when we had 2 house ducklings living here until they got old enough to fly (and thus were safe to move to a friend’s farm). They couldn’t be outside without supervision because of neighborhood cats and the neighborhood busybody obsessed with HOA rules. So, we had two young ducks running around the house in diapers, I kid you not. This one woman actually makes them for ducks, but since they were growing, the fit wasn’t super so it didn’t always contain everything (is this a problem for human parents?). They couldn’t be just locked into one room most of the time, because when I was out of sight they would SCREAM until I came back so they just followed me around the house during the day. Not to mention they played in the bath tub inside/kiddy pool outside several times a day. A year later we are still trying to get all the mud off of the baseboards. XD It was quite an experience. OMG, this is hilarious! I love the image of the ducklings in diapers. Your comment really resonated with me – I am constantly comparing my messy house to those of my friends who seem to have everything so together. Then I make tons of justifications like, well they don’t have kids, or they don’t cook, or they don’t have the world’s hairiest husband, or they have good mental health… etc. None of the comparing or excuse making ever makes me feel better though. I love “I don’t need a bigger/better house … I just need less stuff.” Amen!! Sometimes I think it would be fun to donate everything to charity and start from scratch! And, sometimes I ask myself that when I’m trying to purge “if I didn’t have this, would I buy it again?” If I say no, then it’s got to go! I completely agree that “good enough” is a moving target. With a 5 year old in the house, his toys really take over the whole place, and I’ve come to terms with the fact that I’m just not going to be able to contain them. So, for the next few years (until his toys become smaller and thus more manageable), any toy areas are going to look a little cluttered and messy. But I try to control some other areas to compensate for that. Like my closet – particularly since I can find things and decide what to wear and make a better outfit if everything is visible to me. Also, we’re planning to totally remodel our kitchen in the next few months, so I’m trying to collect ideas and see how best to organize things for us. This is a once-in-a-lifetime project for me, so I really want to get it right! Still decluttering, sorting, and packing here with lots of Goodwill runs in between. I answered the questions for this week in my post. Thanks for hosting Laura! So we started the 52 weeks with some sweet easy little projects on the list: declutter a drawer, sort the post pile, … I didn’t think we had too much to do, with at least a big bag of donatables already part of our weekly life. Anyway, I got frustrated with the little projects I wasn’t getting to the root of the problem… just too much stuff!!! The bug hit and I tipped out the entire house; re-aranged furniture (and lost some in the process); as we tipped out we purged, once everything was out we purged again… and now we are starting to put back and we are purging again!!! Some where in the middle I totally lost heart and thought we would never have our house back together again… but now that we are putting things back and we are fitting so much better!!! It is brilliant and I am encouraged to go on!!! There is still a lot to do but more than half the house is done and it is so much easier to put things away when they aren’t jammed into places, it is so much easier to find stuff when only one thing belongs in a place… I understand that once sorted a house needs maintenance but I think we needed a good solid rocking of the boat to discover how much stuff we had lying around because our eyes were in the habit of seeing it!!! So on we march, I am actually looking forward to next week!!! I have the kind of kitchen cabinets that could look pretty with stuff on top … but I just can’t do it without the twitching!! I mean, figuring out what clutter deserves a display and then letting it get all dusty. Yuck, yuck, yuck! My good enough is the table, countertops, and living room is picked up every night. I am so irritated when I come downstairs in the morning and there are dirty dishes on the counter, or our phone chargers, or mail from the previous day, etc. My husband says I’m the countertop Nazi…but it drives me batty! As far as the space above our cabinets, we have NOTHING up there because I like the clean look of that area. This is a huge thing for me…I tend to be a perfectionist and when things are not perfect, I start giving up. And ratcheting down goals should be a good solution if I can figure out how. But I had a good week with horizontal surfaces and it really was much easier to get lunches ready, etc., with more space in which to do it. I only cleaned out one cabinet this week (but it was a much-used cabinet–all my cooking pots and pans and metal mixing bowls)…I’m gearing up for the 40 Bags in 40 Days challenge and am taking a bit of a breather to get ready to PURGE. Hmm. This is a great question and I’ve actually had it on my desktop/in my internet browser for days… perhaps since the first day it was posted. I would say at this point, my standards are NOT “good enough.” Not that I don’t want them to be. I have perfectionist tendencies and get overwhelmed trying to find a place for everything. Paper clutter is probably the biggest thing I struggle with. I have a LONG way to go, and desperately long to be a “perfect” housekeeper. Ok, since there’s no such thing as perfect, I’d love to be a really good housekeeper who has a system in place to get rid of the paper clutter and to keep paper clutter at bay. There are days that I wish I was more like my neighbor, who has told me she has OCD tendencies, especially when it comes to housekeeping. Really, there are days when I wish I had OCD. Wow. I don’t have pix to link up, but I cleaned out my plastic-ware cabinet within the last month. I think it just wasn’t good enough anymore. Actually, I put up with it far too long. I think my standards for what is “good enough” have changed drastically since I got remarried six years ago. With 5 (and sometimes 6) people living under the same roof, it was either relax, or have a nervous breakdown! My bedroom is always perfect, or pretty close to it, because it’s the one place where I have complete control. My husband isn’t the “underwear on the floor” guy, but he’s not a neat freak, either. He keeps his things picked up in there. Things tend to pile up in the common areas, and I just realized I’m babbling, and you probably don’t really care! LOL But, this really got me thinking. That first question, what is your good enough is a powerful question. What are those things that cause us to quit trying or that cause us to go off the deep end because we have met the threshold in which we can adequately function in and remain pleasant to be around. Are we letting others dictate our standard of good enough and is that causing us a lot of undue stress in our lives. I will have to give this more thought. I know that I am not one that has to have a picture perfect house but I also know that I frequently get to that point of feeling hopelessly sinking under the clutter. I know you wrote this post months ago, but I kept it in my email to refer back to again & again. It really hit home, literally & figuratively. I have been working like crazy to declutter. Tthe neighborhood yard sales are happening next weekend & I want to be able to ‘grab some of the action’ in order to get rid of some of MY stuff! Now, I didn’t really do much different. I barely moved the furniture to different positions. I took out a small chest (we stored shoes in there) & replaced it with a 9 hole cubby. I took out an antique wooden hamper (we stored throws, & lap quilts in) & replaced it with a wooden ladder my husband found along the road. THAT. IS. IT.!! Also, my cleaning methods/schedule haven’t changed. I decided, just today, after she said what she did. I don’t need that chest or hamper – they can be added to the garage sale pile. I got more enjoyment/love from her comment than the ‘love’ I had for those items.